Harry Dexter White, the seventh and youngest child of Joseph Weit and Sarah Magilewski, was born in Boston on 9th October, 1892. His parents were Jewish and came from Lithuania, who had settled in the United States in 1885. During the First World War he joined the United States Army. He was commissioned as a lieutenant and served in France in 1918. On his return home he studied economics at Columbia University and Stanford University. He did not complete his Ph.D. at Harvard University in 1930. It was published three years later as The French International Accounts, 1880–1913. In 1934, Harry Dexter White was appointed to the Treasury Department. Soon afterwards he joined what became known as the Ware Group. It was led by Harold Ware, the son of the well-known radical, Ella Reeve Bloor. Ware was a member of the Communist Party of the United States and a consultant to the Agricultural Adjustment Administration (AAA). He established a "discussion group" that included Harry Dexter White, Alger Hiss, Nathaniel Weyl, Laurence Duggan, Nathan Witt, Marion Bachrach, Julian Wadleigh, Henry H. Collins, Lee Pressman and Victor Perlo. 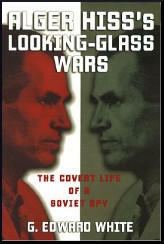 Ware was working very close with Joszef Peter, the "head of the underground section of the American Communist Party." It was claimed that Peter's design for the group of government agencies, to "influence policy at several levels" as their careers progressed". Whittaker Chambers, a Soviet spy, was a key figure in the Ware Group: "The Washington apparatus to which I was attached led its own secret existence. But through me, and through others, it maintained direct and helpful connections with two underground apparatuses of the American Communist Party in Washington. One of these was the so-called Ware group, which takes its name from Harold Ware, the American Communist who was active in organizing it. In addition to the four members of this group (including himself) whom Lee Pressman has named under oath, there must have been some sixty or seventy others, though Pressman did not necessarily know them all; neither did I. All were dues-paying members of the Communist Party. Nearly all were employed in the United States Government, some in rather high positions, notably in the Department of Agriculture, the Department of Justice, the Department of the Interior, the National Labor Relations Board, the Agricultural Adjustment Administration, the Railroad Retirement Board, the National Research Project - and others." Susan Jacoby, the author of Alger Hiss and the Battle for History (2009), has pointed out: "Chambers, among others, would testify that the eventual penetration of the government was the ultimate aim of a group initially overseen in Washington by Hal Ware, a Communist and the son of Mother Bloor... When members did succeed in moving up the government ladder, they were supposed to separate from the Ware organization, which was well known for its Marxist participants. Chambers was dispatched from New York by underground Party superiors to supervise and coordinate the transmission of information and to ride herd on underground Communists... with government jobs." Harry Dexter White was recruited as a spy by Jacob Golos. White (codename Kassir, later changed to Jurist, Lawyer and Richard) joined a spy network that included Laurence Duggan (Frank), Michael Straight (Nigel), Nathan Silvermaster (Pel), Ludwig Ullman (Polo), Martha Dodd (Liza), Victor Perlo (Raider), Mary Wolf Price (Kid), Helen Lowry (Madlen), George Silverman (Aileron), Charles Kramer (Plumb), Frank Coe (Pick), Harold Glasser (Ruble) and John Abt (Moris). Chambers claimed that White was willing to "turn over to him certain official Treasury documents which could then be photographed." The photographs were then passed on to Joszef Peter, the "head of the underground section of the American Communist Party." Chambers had also received (and kept) four pages of handwritten notes on important Treasury and State Department business. Whittaker Chambers was his main source of contact: "Harry Dexter White, then the chief monetary expert of the Treasury Department, had been in touch with the Communist Party for a long time, not only through his close friend, George Silverman, but through other party members whom he had banked around him in the Treasury Department. He was perfectly willing to meet me secretly; I sometimes had the impression that he enjoyed the secrecy for its own sake. But his sense of inconvenience was greater than his sense of precaution, and he usually insisted on meeting me near his Connecticut Avenue apartment. Since White was not a party member, but a fellow traveler, I could only suggest or urge, not give orders. This distinction White understood very well, and he thoroughly enjoyed the sense of being in touch with the party, but not in it, courted by it, but yielding only so much as he chose." Whittaker Chambers worked for Boris Bykov who complained about about the poor quality of the documents they were receiving from Harry Dexter White. Chambers now contacted Joszef Peter, the "head of the underground section of the American Communist Party. "I explained the problem to him and asked for a Communist in the Treasury Department who could 'control' White. Peters suggested Dr. Harold Glasser, who certainly seemed an ideal man for the purpose, since he was White's assistant, one of several Communists whom White himself had guided into the Treasury Department. Peters released Dr. Glasser from the American Communist underground and lent him to the Soviet underground. Glasser soon convinced me that White was turning over everything of importance that came into his hands." In August 1939, Isaac Don Levine arranged for Whittaker Chambers to meet Adolf Berle, one of the top aides to President Franklin D. Roosevelt. After dinner Chambers told Berle about government officials spying for the Soviet Union: "Around midnight, we went into the house. What we said there is not in question because Berle took it in the form of penciled notes. Just inside the front door, he sat at a little desk or table with a telephone on it and while I talked he wrote, abbreviating swiftly as he went along. These notes did not cover the entire conversation on the lawn. They were what we recapitulated quickly at a late hour after a good many drinks. I assumed that they were an exploratory skeleton on which further conversations and investigation would be based." According to Isaac Don Levine the list of "espionage agents" included Harry Dexter White, Alger Hiss, Donald Hiss, Laurence Duggan, Lauchlin Currie, Charles Kramer, John Abt, Nathan Witt, Lee Pressman, Julian Wadleigh, Noel Field and Frank Coe. Chambers also named Joszef Peter, as being "responsible for the Washington sector" and "after 1929 the "head of the underground section" of the Communist Party of the United States. Chambers claimed that Berle reacted to the news with the comment: "We may be in this war within forty-eight hours and we cannot go into it without clean services." 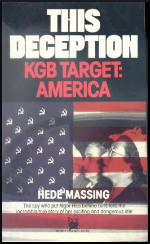 John V. Fleming, has argued in The Anti-Communist Manifestos: Four Books that Shaped the Cold War (2009) Chambers had "confessed to Berle the existence of a Communist cell - he did not yet identify it as an espionage team - in Washington." Berle, who was in effect the president's Director of Homeland Security, raised the issue with President Franklin D. Roosevelt, "who profanely dismissed it as nonsense." In December 1941, Harry Dexter White was appointed assistant to Henry Morgenthau, Jr., the Secretary of the Treasury, to act as liaison between the Treasury and the State Department on all matters bearing on foreign relations. He now had access to extensive confidential information about the economic situation of the USA and its wartime allies. At this time White was being supervised by Jacob Golos and was part of a network led by Nathan Silvermaster. In January 1942, a senior officer of NKVD in Moscow stated that White was "one of the most valuable agents". White and Silvermaster were now two of the most important spies that the Soviets had. Golos was now forced to had over this network to Vassily Zarubin. He reported in October, 1942, that "Silvermaster and his people... were productive sources... We already receive from them... valuable materials... One could satisfy one's self with it. However, if... one can count on them as a serious base now and in future, they must be taught our work, included in our network, and attached to us." Zarubin was told that "at one time Lawyer (White) was a probationer (agent) of the neighbours (GRU)". He added that as White was such an important agent he should be "singled out a special illegal (a spy without diplomatic cover) to work with him". In 1943 they became concerned that some people in positions of authority had correctly identified him as an agent. (This was possibly reference to the details of the list of agents that Whittaker Chambers had passed to Adolf Berle. It was not until 1943 that the FBI began investigating the names on the list.) However, the Soviets believed that had happened because his close associate, Nathan Silvermaster, had been named as a communist by the House of Un-American Activities Committee. An investigation by the Civil Service Commission could not confirm Silvermaster's Communist associations nor could an Office of Naval Intelligence inquiry. Lauchlin Currie used his position as special adviser on economic affairs to President Franklin D. Roosevert, to help quash the inquiry. Vassily Zarubin reported in October 1943: "Recently (Silvermaster) told us that (Currie) made every effort to liquidate his case: when (Silvermaster's) case was given for examination to the committee (White House security personnel) attached to Captain (the President), (Currie) managed to persuade the majority of members of the committee to favor repealing this investigation... He believes that the investigation will be stopped." Iskhak Akhmerov took over the running of the Silvermaster group in December 1943. Akhmerov met Silvermaster for the first time on 15th March, 1944. In his report he commented that Silvermaster was "a man sincerely devoted to the party and the Soviet Union... politically literate, knows Marxism, a deeply Russian man... known in Washington as a progressive liberal... and understands perfectly that he works for us." Allen Weinstein, has pointed out in his book, The Hunted Wood: Soviet Espionage in America (1999): "Silvermaster's major government's sources remained faithful... Treasury Department official Harry Dexter White remained an ongoing source of information, documents, and policy assistance, using his friend Silvermaster as a conduit to Soviet intelligence throughout the war years." White was also making good progress in his career. Vice-President Henry Wallace later claimed that if President Franklin D. Roosevelt died during this period (1940-44) he would have appointed White as his Secretary of the Treasury. Vassily Zarubin replied that White was "a very nervous and cowardly person" and was constantly worried about the possibility of exposure. White told another Soviet agent on 31st July, 1944, that he was "ready for any self-sacrifice; he himself does not think about his personal security, but a compromise would lead to a political scandal... and the discredit of all supporters of the new course. Therefore he would have to be very cautious." Although he agreed to meet again the following month he "proposes infrequent conversations lasting up to half an hour while driving in his automobile." 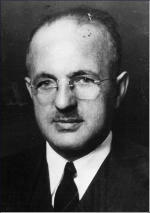 Harry Dexter White was the principal architect behind the Morgenthau Plan. The original proposal outlined three steps after the defeat of Nazi Germany: (1) Germany was to be partitioned into two independent states. (2) Germany's main regions of industry were to be internationalized or annexed by neighbouring nations. (3) All heavy industry was to be dismantled or destroyed. The plan was discussed at the Quebec Conference on 16th September, 1944. Winston Churchill agreed to the plan. The memorandum drawn up by the two countries concluded that "is looking forward to converting Germany into a country primarily agricultural and pastoral in its character." White passed a copy of the agreed plan to Iskhak Akhmerov. However, someone in White's department with access to details of the plan leaked it to the press. Although President Franklin D. Roosevelt denied the existence of the plan, Joseph Goebbels used the Morgenthau Plan as a propaganda coup to encourage their troops and citizens to fight on against Allied forces. As Toby Thacker, the author of Joseph Goebbels: Life and Death (2009) has pointed out: "He (Goebbels) welcomed the news of the Morgenthau Plan, which entailed the punishment of German war criminals and the destruction of German industry, when this emerged after the Quebec conference, and served as a useful confirmation of the line he had previously promoted." 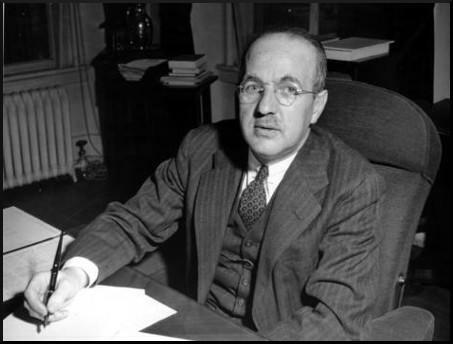 In 1944 Harry Dexter White was most probably the most important figure at the Bretton Woods conference. He argued for an end to economic blocks and a greater use of free trade agreements. Henry Morgenthau, Jr claimed that by the establishment of the International Monetary Fund (IMF) and the International Bank for Reconstruction and Development (IBRD), would see an end to "economic nationalism". These institutions were intended to prevent some of the economic problems that had occurred after the First World War. White argued strongly that the Western nations should develop better economic and political relationships with the Soviet Union. White argued that in the 1930s "the necessary monetary and financial basis for international prosperity had been weakened by competitive currency depreciation, by exchange restriction, by multiple currency devices." After the war "only through international cooperation will it be possible for countries successfully to apply measures directed toward attaining and maintaining a high level of employment and real income which must be the primary objective of economic policy." James M. Boughton has pointed out that Broughton shared many of the views held by John Maynard Keynes: "Part of the conventional wisdom about the origins of the IMF is that it was a response to the depression of the 1930s and was designed primarily to prevent a recurrence of global deflation. Certainly the avoidance of ruinous competitive devaluations and of trade and exchange restrictions was uppermost in both Keynes's and White's thinking, but they saw those policy errors as creatures of the 1920s, as the result of the mercantilist debacles that flowed from the Versailles peace conference. Such mistakes had contributed to the depression and then had fed on it, but they would have been just as disastrous if they had led instead to an inflationary spiral. White saw the avoidance of either deflation or inflation as a precondition for sustained economic growth, as did Keynes. He was no fan of the classical gold standard, but he argued persistently within the U.S. Treasury for a stable monetary standard that the government could manage with some flexibility but that would still link the U.S. dollar firmly to gold. His plan for the IMF placed the dollar and its ties to gold at the center of the international monetary system, in the belief that it would provide a stable anchor for policies conducive to growth." In December 1944, Anatoly Gorsky sent a report back to Moscow that White and his assistant, Harold Glasser, was still supplying the Soviets with information: "White... phoned me and asked me to come and get the information Gromyko was interested in. On December 11, I went to Morgenthau's department. (White) was not in the office, but one of his secretaries showed me to his assistant, on whose office door was written: Assistant to the Director of the Division of Monetary Research. (White's) assistant named turned out to be (Harold Glasser). We have tried to organize Glasser's work through Elizabeth Bentley, Victor Perlo and others... but these circumstances may be used to develop this official acquaintance in order to switch then to direct connection with a Soviet operative." After the death of President Franklin D. Roosevelt White felt less confident of holding his job in the Treasury Department. President Harry S. Truman sacked Henry Morgenthau, Jr. and replaced him with Fred Vinson. The new Secretary of the Treasury, did not share Morgenthau's confidence in White's abilities. White complained that Vinson no longer consulted with him about policy. Vladimir Pravdin reported back to Moscow: "Although Vinson outwardly treats him in a friendly manner... White is convinced that the question of his dismissal is a matter of weeks or months." On 7th November, 1945, the Soviet agent, Elizabeth Bentley, met with Don Jardine, FBI agent based in New York City. On that first day she talked for eight hours and gave a thirty-one-page statement. She gave a long list of Soviet spies that included Harry Dexter White, Lauchlin Currie, George Silverman, Nathan Silvermaster, Charles Kramer, Victor Perlo, Mary Wolf Price and Ludwig Ullman. Jardine was convinced she was telling the truth. "There wasn't any question in my mind that we hit gold on this one." They soon discovered that White, Currie and Kramer had all been named by Whittaker Chambers in 1939. Kathryn S. Olmsted, the author of Red Spy Queen (2002), has pointed out: "Within days of Elizabeth's first statement, the FBI launched a massive effort to verify her charges. Tom Donegan, the FBI's counterespionage chief, led the effort.... By December 1945, seventy-two special agents were working on the biggest espionage case in the FBI's history. Elizabeth had their attention now. These numbers were necessary because the bureau wanted to follow, spy on, open the mail of, and listen to the phone calls of the men and women Elizabeth had named in her statement. Within two weeks, agents were following Maurice Halperin, Robert Miller, Victor Perlo, Greg Silvermaster, Helen Tenney, Lud Ullmann, Harry Dexter White, George Silverman, Charles Kramer, Duncan Lee, and several other lesser figures in the network. The bureau also made plans to break into the Silvermasters' house. Soon, reams of reports would deluge FBI headquarters detailing who had attended a party with Harry Dexter White and who had been invited for Christmas dinner at the Silvermasters." FBI Director J. Edgar Hoover sent a hand-delivered letter to the President's Military Aide, General Harry H. Vaughan, at the White House, reporting information that "a number of persons employed by the government of the United States have been furnishing data and information to persons outside the Federal Government, who are in turn transmitting this information to espionage agents of the Soviet government." The list included the name of Harry Dexter White. On 4th December, 1945, the FBI sent a detailed report entitled "Soviet Espionage in the United States". It was based on the Bentley accusations and the follow-up investigations. President Harry S. Truman later claimed that White had been "separated from the Government service promptly" upon receipt of this information. However, on 23rd January, 1946, Truman nominated White as U.S. Director of the International Monetary Fund. Elizabeth Bentley testified before the House of Un-American Activities Committee (HUAC) on 31st July, 1948, that Harry Dexter White was a Soviet spy. On 13th August, White appeared before the committee. Before the hearing, White had sent a note to J. Parnell Thomas, the chairman of the HUAC, asking for rest periods of five or ten minutes for each hour of testimony as he was recovering from a severe heart attack. During his testimony Harry Dexter White denied that he was a communist: "The principles in which I believe, and by which I live, make it impossible for me to ever do a disloyal act or anything against the interests of our country... I believe in freedom of religion, freedom of speech, freedom of thought, freedom of the press, freedom of criticism and freedom of movement." He admitted that he knew some of the others that Bentley had accused of being communists. However, this was not evidence that they were members of a spy network but because they played softball and volleyball together. Thomas responded with snide humour: "For a person who had a severe heart condition, you certainly can play a lot of sports." Furious, White explained carefully that he had played sports before he developed a heart condition. Harry Dexter White died of a heart attack three days later on 16th August, 1948. Henry Wallace, the Progressive Party presidential candidate claimed that White was "a victim of the Un-American Thomas Committee". Expansion went on in other directions also. From time to time, Peters would mention Harry Dexter White as a candidate for the special apparatus. I still refused to have anything to do with Wilton Rugg, whom Peters always mentioned as his best contact with White. One day Peters admitted that he had a better one. The better contact was Abraham George Silverman, the research director of the Railroad Retirement Board. I suspect that Peters was moved less by any sense of urgency about Harry Dexter White than by a desire to get George Silverman off his hands. Silverman, said Peters, was a whiner. Worse, he complained about the heavy party dues he had to pay (nothing could have outraged Peters more). He said frankly that he could do nothing with Silverman without hours of wrangling. He wanted to see what I could do with him. I got along with Silverman easily and pleasantly by the simple method of recognizing that he was a highly intelligent child, and by letting him, in so far as possible, do whatever he wanted in his own way. Then I would say no firmly or tell him why I thought that he was mistaken. I also listened patiently and sympathetically to his personal and financial woes. One of his griefs was that, on advice from Lauchlin Currie, he was occasionally playing the stock market. Currie's advice did not always turn out well. Treated with consideration, Silverman co-operated readily, for he was a convinced Communist. He soon introduced me to White, delaying, as he explained to me, only until he was satisfied that I could handle that odd character. 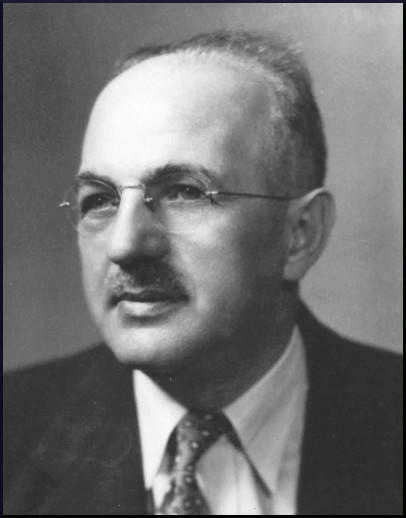 Harry Dexter White, then the chief monetary expert of the Treasury Department, had been in touch with the Communist Party for a long time, not only through his close friend, George Silverman, but through other party members whom he had banked around him in the Treasury Department. He was perfectly willing to meet me secretly; I sometimes had the impression that he enjoyed the secrecy for its own sake. But his sense of inconvenience was greater than his sense of precaution, and he usually insisted on meeting me near his Connecticut Avenue apartment. Since White was not a party member, but a fellow traveler, I could only suggest or urge, not give orders. This distinction White understood very well, and he thoroughly enjoyed the sense of being in touch with the party, but not in it, courted by it, but yielding only so much as he chose. He talked endlessly about the "Secretary" (Henry Morgenthau Jr. ) whose moods were a fair barometer of White's. If White's spirits were up, I knew that the Secretary was smiling. If he was depressed, I knew that the Secretary had had a bad day. For some time, White seemed extremely casual in his manner toward me. I sometimes found myself wondering why I troubled to see him. But when once, quite by chance, I kept away from him for two or three weeks, I discovered that he was plaintive and felt neglected by the party, was very friendly and co-operative. I never really worried about White. For he and Silverman were almost fraternally close. Of the two, White was the more successful tureaucrat, and, in his special field, perhaps, had the better mind. But in all other fields, Silverman was much more intelligent and knew it. Their relationship seemed to have hinged for years on Silverman's willingness to let himself be patronized by White to whom his sympathy was indispensable whenever, for example, the Secretary was snappish and White had one of his crises of office nerves. Each, in fact, was a tower of weakness-a leaning tower. But, as they leaned together, they held each other upright. On December 9... (Soviet Ambassador to the U.S. Andrei Gromyko charged me with meeting "Richard" (Harry Dexter White) for the purpose of receiving additional explanations from Morgenthau's department about German postage-stamps prepared by him (Montenthau Plan). On the same day, (White) phoned me and asked me to come and get the information Gromyko was interested in. On December 11, I went to Morgenthau's department. (White) was not in the office, but one of his secretaries showed me to his assistant, on whose office door was written: Assistant to the Director of the Division of Monetary Research. (White's) assistant named turned out to be (Harold Glasser). We have tried to organize Glasser's work through Elizabeth Bentley, Victor Perlo) and others... but these circumstances may be used to develop this official acqquaintance in order to switch then to direct connection with a Soviet operative. Over the next few weeks, Elizabeth completed her statement. Besides naming sources she knew personally, she also gave tantalizing hints about individuals whom she could not fully name. For example, Kramer had told her about an agent in the State Department who worked for Soviet military intelligence. The only thing she had learned about this mysterious agent was his last name, "Hiss." She thought his first name was Eugene. There was no Eugene Hiss in the State Department. But Alger Hiss was already under a cloud of suspicion, thanks to Chambers. In the margins of Elizabeth's comments about Eugene Hiss, someone at the FBI made a handwritten notation: "Alger Hiss." Elizabeth also told what she could remember about an espionage ring of engineers in New York City. She described that evening in 1942 when Yasha had stopped the car on the Lower East Side and had met with a tall, thin man with horn-rimmed glasses. "(Golos) did not elaborate on the activities of this person and his associates," she said, "nor did he ever identify any of them except that this one man to whom he gave my telephone number was referred to as "JULIUS." She added that she doubted that was his real name. There were moments of drama during the interrogation. On November 16, as Elizabeth met all day with special agents Thomas Spencer and Joseph Kelly, she told them how Al had tried to bribe her with the envelope stuffed with $20 bills. The next day, as Elizabeth entered the hotel room where the agents were waiting, she opened her purse, took out an envelope, and casually tossed it on the bed, saying, "Here's some Moscow gold." For years, anti-Communists had been fulminating that the American Communists were bankrolled by money from Russia. Here was proof. The startled agents took the stash and put it in a safety deposit box. Elizabeth's initial statements to FBI agents would later serve as a benchmark for evaluating her veracity. During that first month, she stuck mostly to the truth - or at least what her sources had told her was the truth. She was not afraid to venture her opinions, but for the most part she clearly labeled them as opinions. For example, she said that she had never met Harry Dexter White. She did mention that she regarded him as a "valuable adjunct" to the spy network because of his friendship with the treasury secretary. But she did not hint at the vast conspiracies she would later attribute to him once the newsreel cameras were turned on. Within days of Elizabeth's first statement, the FBI launched a massive effort to verify her charges. Tom Donegan, the FBI's counterespionage chief, led the effort. From the beginning, J. Edgar Hoover declared that there would be "no limit" to the number of agents assigned to her case." By December 1945, seventy-two special agents were working on the biggest espionage case in the FBI's history. Elizabeth had their attention now. These numbers were necessary because the bureau wanted to follow, spy on, open the mail of, and listen to the phone calls of the men and women Elizabeth had named in her statement. Within two weeks, agents were following Maurice Halperin, Robert Miller, Victor Perlo, Greg Silvermaster, Helen Tenney, Lud Ullmann, Harry Dexter White, George Silverman, Charles Kramer, Duncan Lee, and several other lesser figures in the network. The bureau also made plans to break into the Silvermasters' house. Soon, reams of reports would deluge FBI headquarters detailing who had attended a party with Harry Dexter White and who had been invited for Christmas dinner at the Silvermasters.